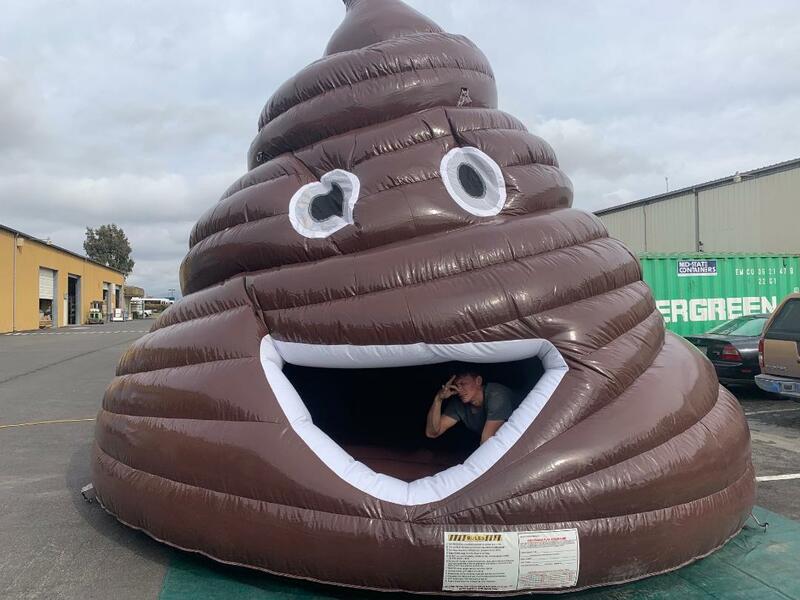 Have your next event go viral or get the most likes on social media with our new Big Stink Poop Emoji Inflatable. Guaranteed to get more pictures and videos of the whole party. Your guests will want to either climb inside to take photos or just pose next to it to take a video. 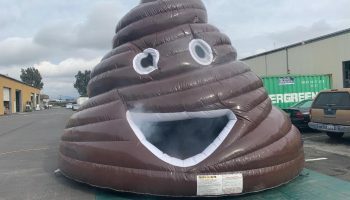 Please click on this link to see the poop emoji steamy in action. 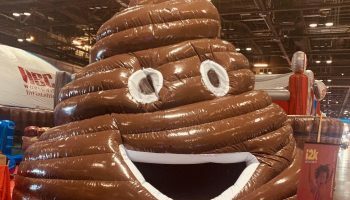 The Poop emoji is appearing everywhere you look on your cell phone, hats, sheets, pillows, coffee cups, cushions, Halloween costumes and more. 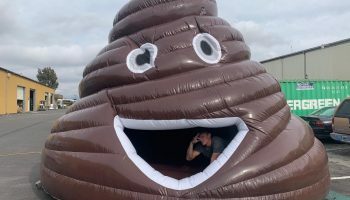 Take your event or party to the next level be the first to take your photo with the Big Stink Poop Emoji Inflatable . It’s actually a bounce house as well. This is an attention grabber and does so well at any promotional event. 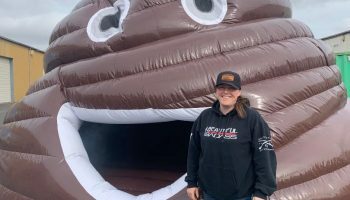 You might be offended at first.. but once you see the response of this big turd you will be not holding back on all your bathroom humor remarks and jokes. 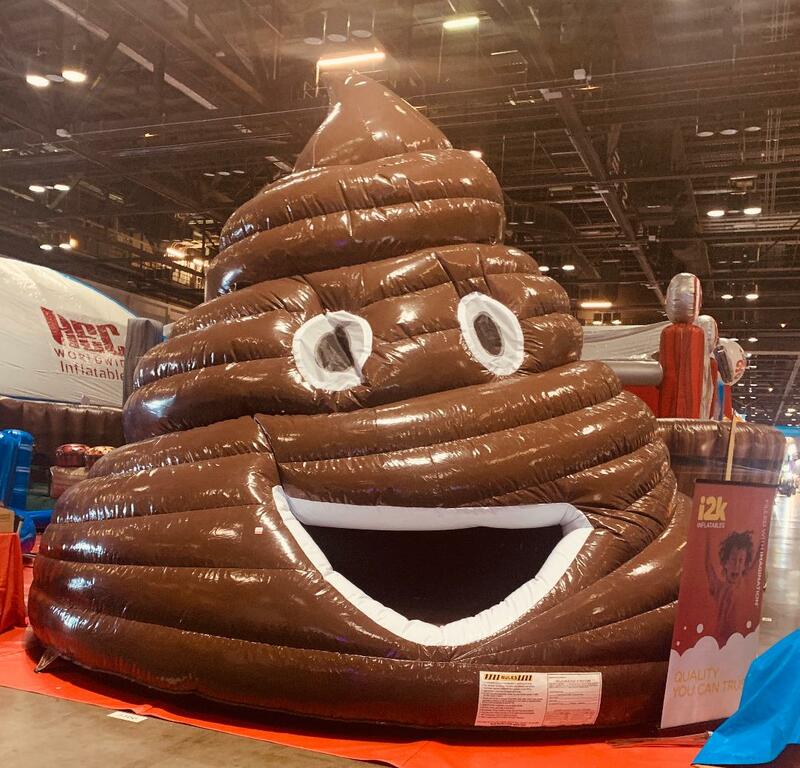 The Big Stink Poop Emoji Inflatable is a play on the most iconic social media emoji of all time! Now is the opportunity to have this at your event and create a hashtag to go viral. We can assist in taking pictures and have them printed in our portable printing station so your guests have a gift to take home. 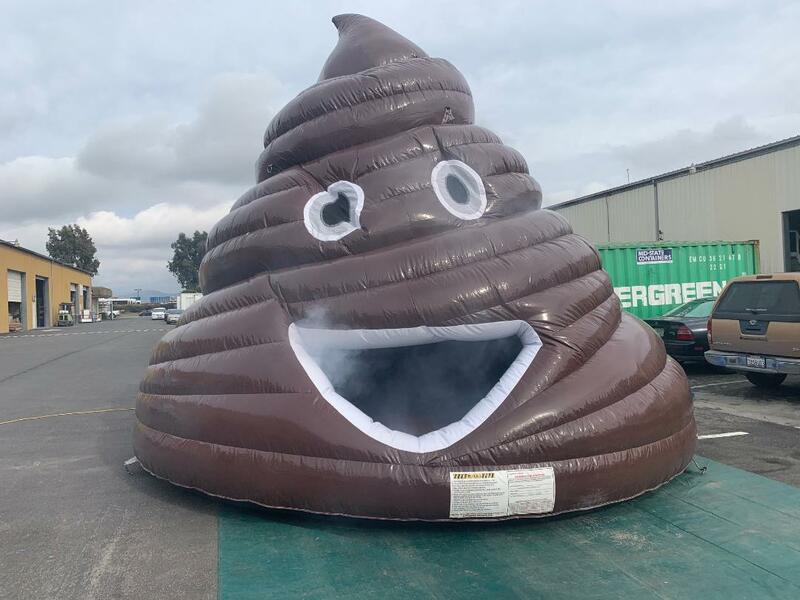 We can also add smoke to give the special effect of a hot steamy turd. Price: Please call us at 888-630-3866 with your zip code and the location of your event (example: school, college, business, etc.). 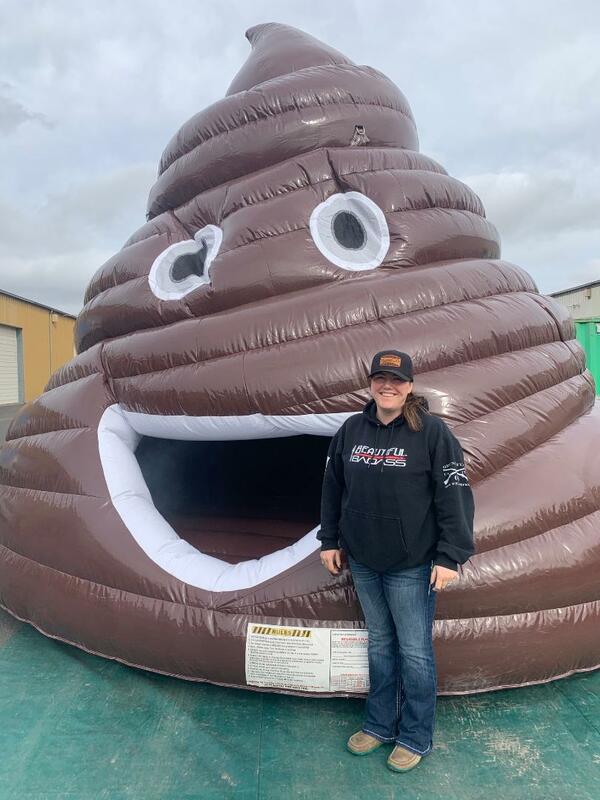 We can not do this Big Stink Poop Emoji Inflatable in dirt or rain conditions.